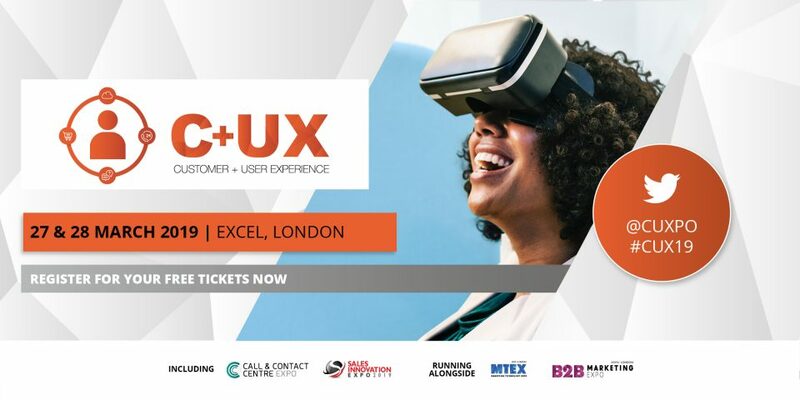 The Customer & User Experience Expo is the most comprehensive event showcasing the most effective technologies, strategies and advancements currently transforming CX, predominantly within the retail, banking, travel and hospitality industries. The event caters for over 3,000 CX and UX professionals all looking to create the ultimate experience strategy, which their competitors simply can’t beat! In 2019, the event will be running alongside the Call & Contact Centre Expo, the B2B Marketing Expo, MTEX and the Sales Innovation Expo. This combination of events make up Europe’s largest exhibition dedicated to solidifying the cornerstones of any successful business. All combined they form a line-up of 1,000 cutting-edge exhibitors, 500 educational seminars and 200 interactive masterclasses, creating a show like no other. So what are you waiting for? Grab your ticket now because this is THE place to be!